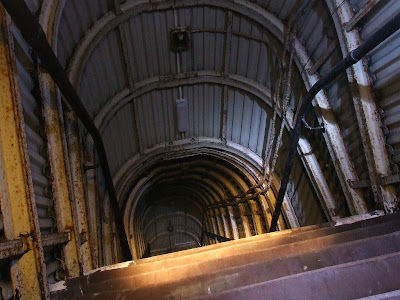 This large underground headquarters was built in 1942 as a naval command centre. 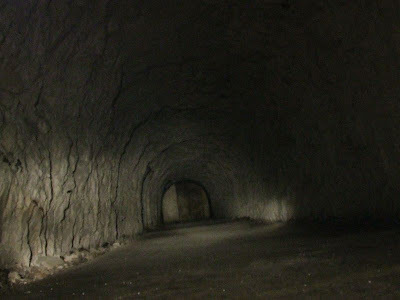 It is situated on Portsdown Hill beneath Fort Southwick, a large 19th Century Palmerston Fort. 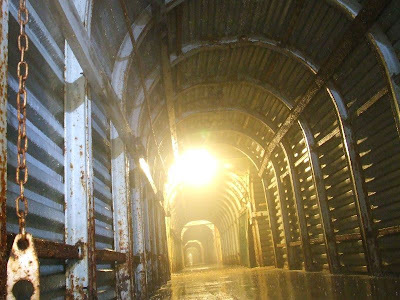 There are over a hundred rooms in the tunnel complex, and it was fully functional with offices, dormitories, telecommunications etc, and it was utilised during WW2's 'Operation Overlord'. 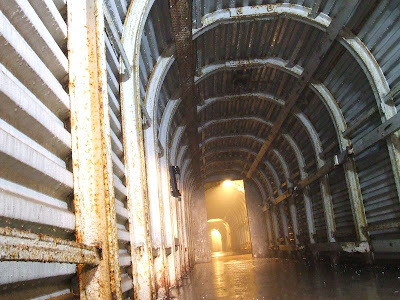 The tunnels were lined throughout with steel shuttering, supported by iron girders, although some of this has been removed since the war. 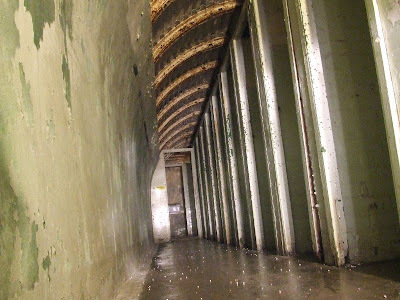 Access to the tunnel system was via stairs inside the fort, or from the four emergency exits further down the hill. 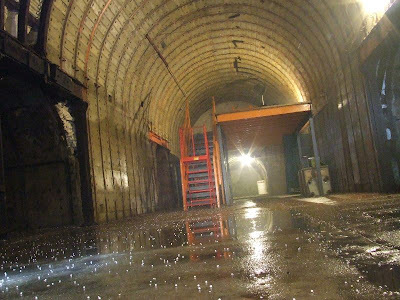 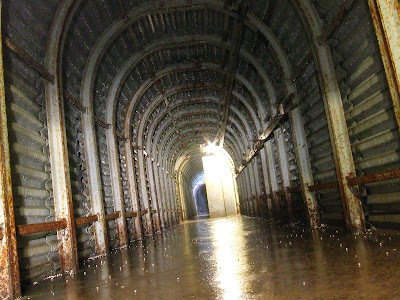 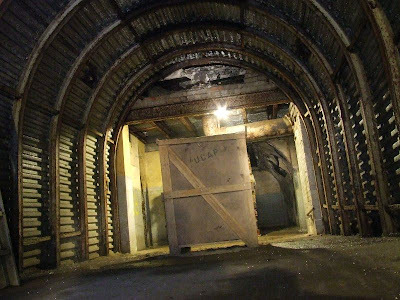 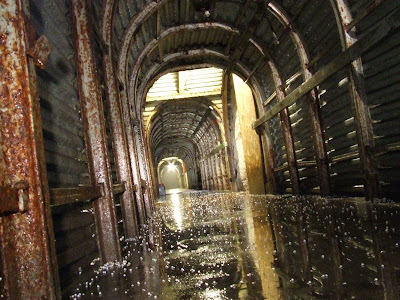 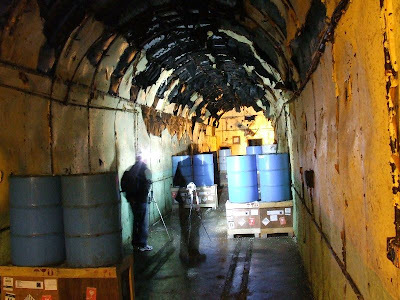 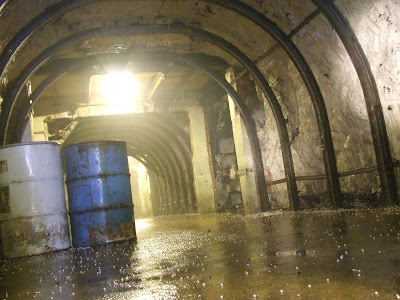 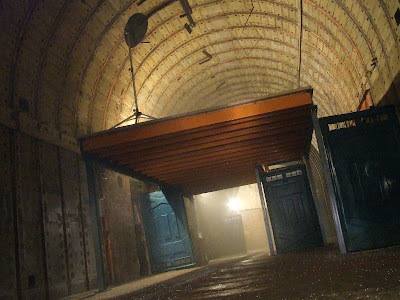 Today, the tunnels are used by an airsoft team but they suffer from water ingress, no wartime artifacts remain. 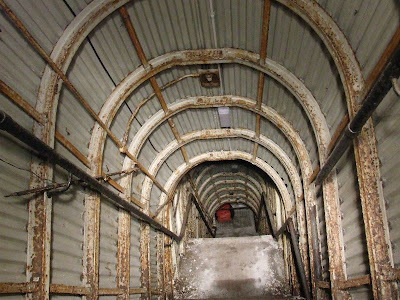 These tunnels are privately owned, many thanks to the owners for allowing us to visit the tunnels. 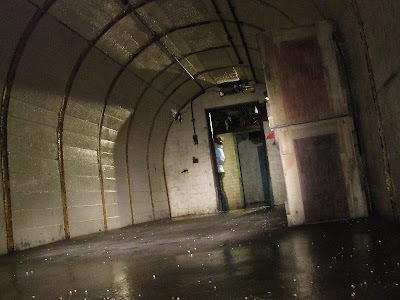 I was the Captain's Cox'n at the Fort in `946. 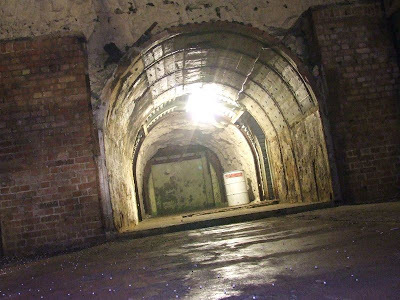 I went down into the tunnels at that time to discover the war rooms intact then.